I think these Slow Cooker Veggie Fajitas sound great for Taco Tuesday, and the slow cooker is the perfect way to cook the vegetables for these veggie fajitas without having to watch them! Click here to see Three Tempting Recipes for Chicken Fajitas! We’re entering the time of year when you need season-spanning dishes because there’s no way to tell from one day to the next what the weather will be. In Utah we recently had a week of very warm days followed by a weekend with snow and blizzard-like conditions. Luckily, no matter whether it’s warm or cold outside these Slow Cooker Veggie Fajitas from Easy Cheesy Vegetarian (formerly Amuse Your Bouche) will still make a delicious meatless dinner. 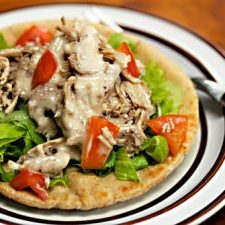 This recipe only takes a few hours in the slow cooker, but it frees up the cook to spend those few hours doing something else. And I know some people have abandoned the slow cooker for the Instant Pot, but the slow cooker really is the perfect way to cook veggies for a dish like this one! For serving: Mini flour tortillas, grated cheese, fresh cilantro, sour cream, salsa, avocado. 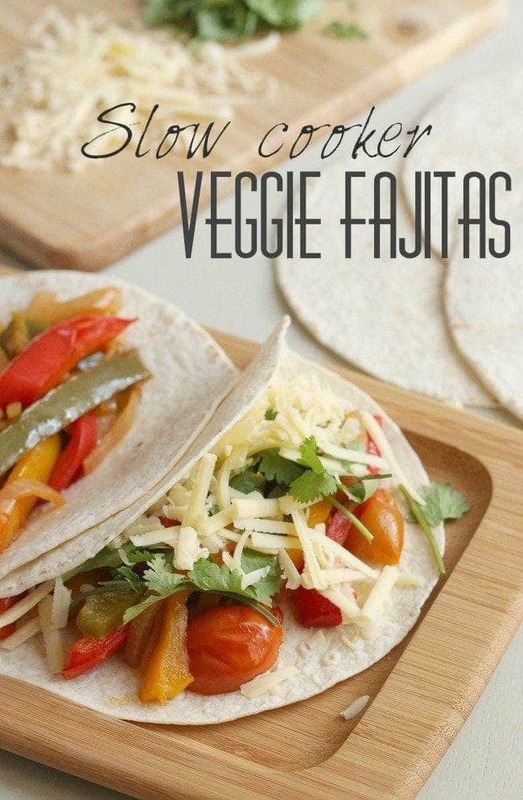 Get the Complete Recipe for Slow Cooker Veggie Fajitas from Easy Cheesy Vegetarian. What a great Meatless Monday recipe! 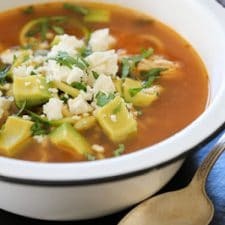 My slow cooker is already sitting on the counter this morning, and I hadn't figured out what to make. These fajitas could be it! Thanks Lydia, so glad you like it.